Surprisingly, the wolf, while not commonly seen in heraldries, was often seen on warriors. This Yellow and Red Wolf Heater Shield lets a warrior wear the wolf as heraldry when they head into battle, while also trusting this predator to protect them. Normally, wolves were seen in pelts and furs, designed to intimidate foes visually. This heater shield is of classic medieval design, possessing a triangular shape with a flat top and curved edges, as well as a lower point. The shield is brightly colored and eye-catching as a consequence. 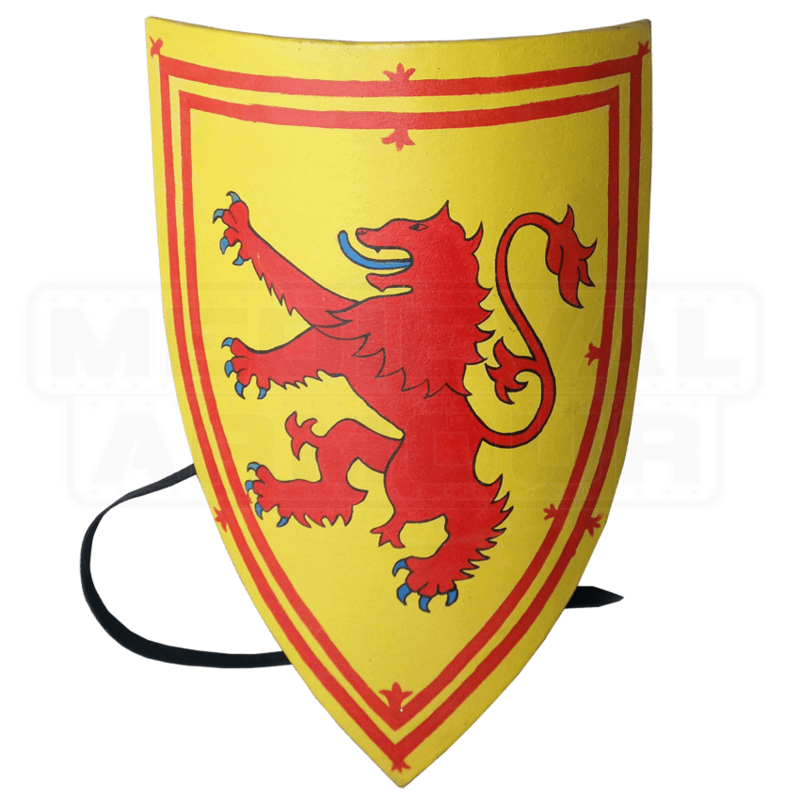 The field, or background, of the shield is bright yellow, with a double-lined red banner that wraps around the edge. The central charge of the shield is a vivid red wolf-beast, reared up into a rampant position, which is a position of exposed claws and open jaws - the position of an attacking beast. The shield is made entirely from fine wood, and is fully functional, meaning that it can just as easily be taken off the wall and used as a piece of protection in your coming battles. 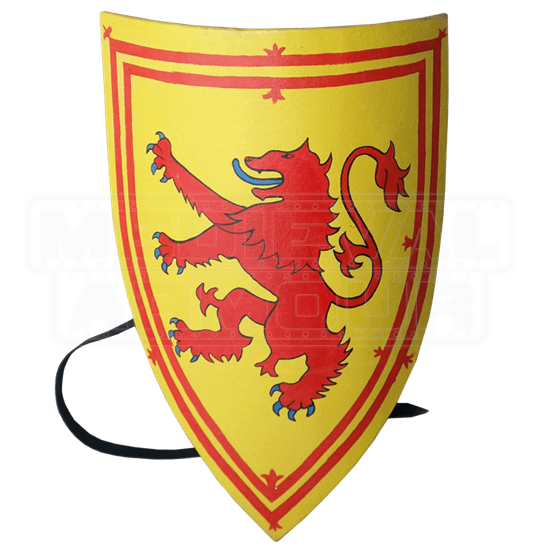 Now, you can wear the wolf with pride by marching into battle with this protective Yellow and Red Wolf Heater Shield at your side, and you can give canis lupus the honor it deserves by hanging the shield in your wall, after the battle is won.